入場無料 ! 3/19 Jack in the BOX PRESENTS KID'S DANCE FESTIVAL開催します!! - Dance School S.
入場無料 ! 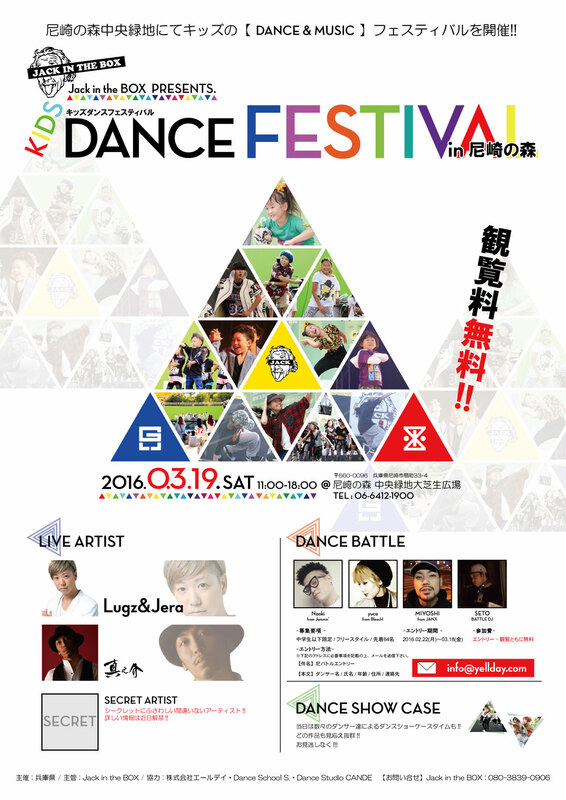 3/19 Jack in the BOX PRESENTS KID’S DANCE FESTIVAL開催します!! DanceSchool S. » News » 入場無料 ! 3/19 Jack in the BOX PRESENTS KID’S DANCE FESTIVAL開催します!! その名もJack in the BOX PRESENTS KID’S DANCE FESTIVAL!! Jack in the BOX 2017 ポスター完成!! 青山テルマ、JASMINE! !Jack in the BOX 2017 第一弾アーティスト情報解禁! !